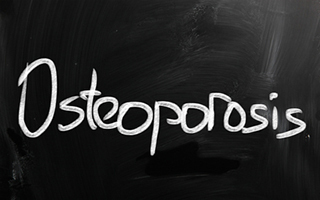 Does the amount of muscle you have on your body determine your chances of getting osteoporosis? A new study says yes. Researchers recently measured the amount of muscle in the arms and legs of 198 men over 60 years old. They also measured their total lean body mass, fat levels, and strength. Then they measured the bone density in all of these men. The bone density test is a way to measure how likely it is that the men will have or get osteoporosis. Here's what they found. Only the amount of muscle in the arms and legs, the total lean body mass, and handgrip strength in the dominant hand had any effect on the bone health of the men. Specifically the men with more muscle mass in their arms and legs and a stronger handgrip were significantly less likely to have any signs of osteoporosis than their less fit colleagues. Fat mass and even overall strength didn't matter. According to the authors, “This result suggests the importance of the increase in lean mass for the bone health of elderly men.” But why is muscle mass so important for our bones? It's because in order to maintain their strength, your bones need the constant stimulation from the muscles attached to them. Even when you are sleeping, your muscles are contracting and relaxing. And this regular action is what keeps your bones strong. But what happens as your muscles slowly disappear? 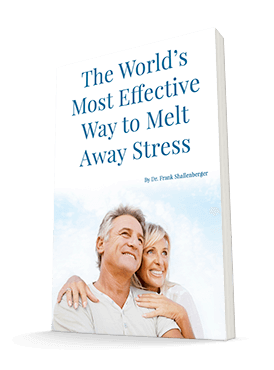 Their action on the bones becomes decreased. And the net result is that you will lose bone strength. And if you didn't already notice it, as people get older their muscles don't automatically get bigger. No, instead their muscles steadily waste away unless they are doing something about it. That's why it is very important to keep your bones strong as you get up in years. If you don't, your quality of life will suffer significantly. And you will be more likely to die from a simple fall. Lots of things help with maintaining your bone mass as you get older. There are supplements like Ultimate Bone Support. It works amazingly well. Hormone replacement is also very important. And, as this study shows, so is increasing your muscle mass through resistance training. So if you're not already spending about 45-60 minutes two to three times a week doing resistance training, it's time to get going! You will not only look better, but you will also feel better and last longer. I like that combination. Pereira FB, Leite AF, Paula AP. Relationship between pre-sarcopenia, sarcopenia and bone mineral density in elderly men. Arch Endocrinol Metab. 2015 Feb;59(1):59-65.